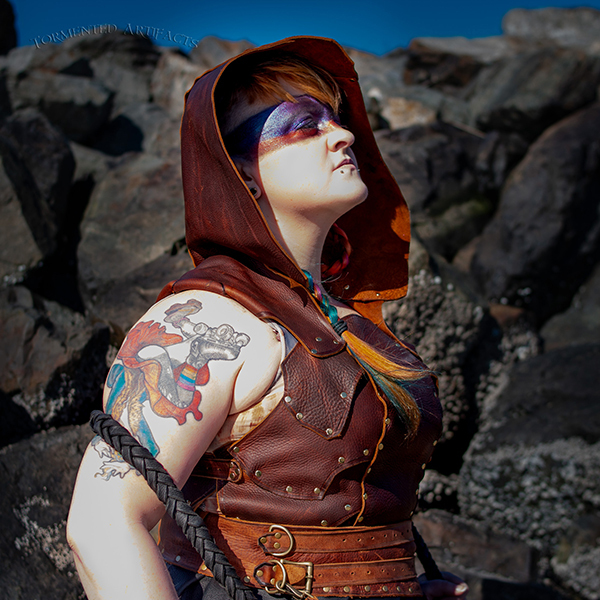 Designed to give a sleek, form-fitting look while still giving adequate protection from environmental hazards or light LARP combat, the Dragonrider vest is our newest stock armor design. 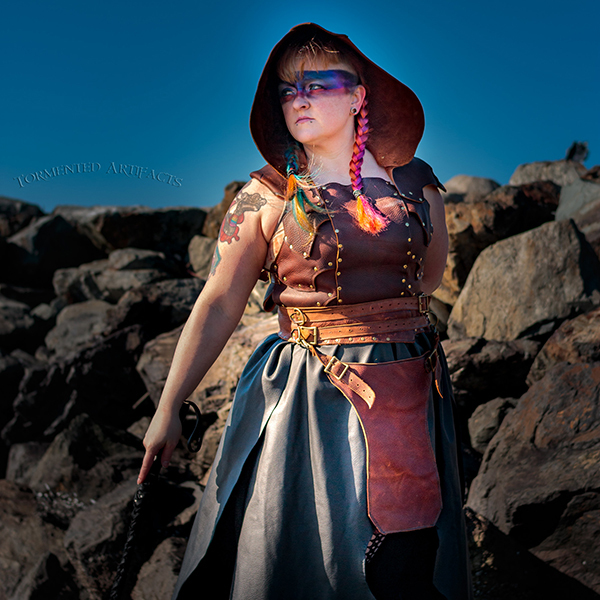 Shown here with our Marauder Skirt, this armor is ready to get you started on your next adventure. 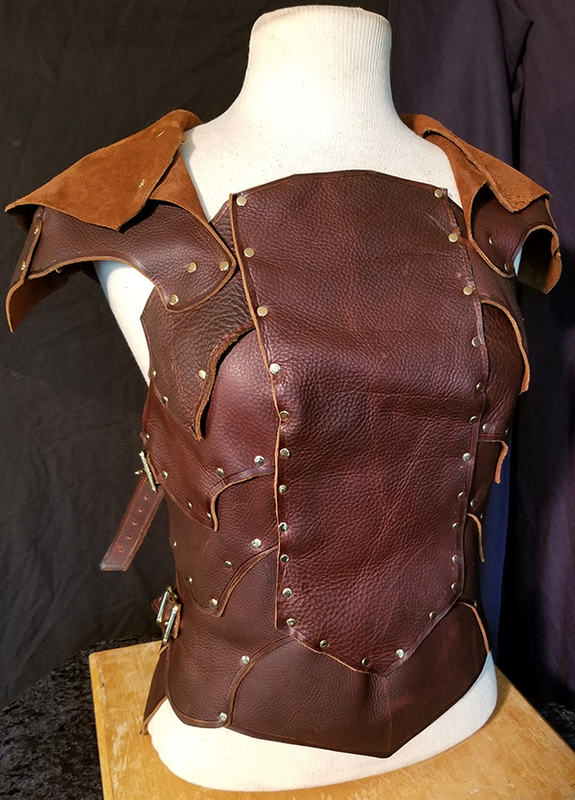 but if you need bigger, or smaller, don't hesitate to contact us via email at dmitri@tormentedartifacts.com we'll be glad to do custom sizing work. Available in brown with brass hardware, or black with nickel hardware. 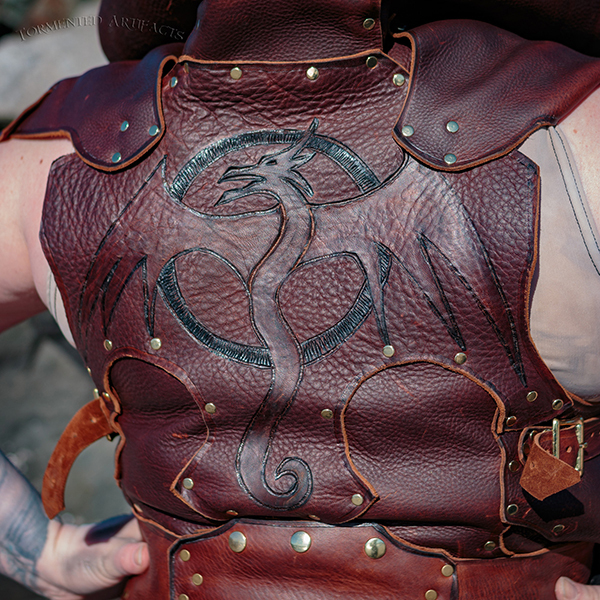 Back can be ordered blank or with dragon burnwork.